Mass Effect 3's Lead Writer Reveals Location Detail and Writing "Hurdles"
I'm still pleased that the Citadel made it from Mass Effect through to Mass Effect 2 with all of its bewildering staircases and fish-based charm intact. While it'd be pointless to speculate about its condition in the trilogy's final chapter, one thing is now certain: it will be there, and it'll be home to stories carried over all the way from the first game. "There was a Mass Effect 2 plot that was a kind of callback to the first Mass Effect that was going to be on the Citadel, and we cut it," said Mac Walters, the lead writer behind Mass Effect 3, to OXM UK. 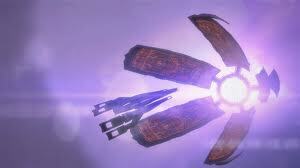 "But now it's made a resurrection in Mass Effect 3, so I'm happy, but I can't say what it is. That's the nice thing about trilogies, sometimes you get a second chance." Walters also talked about some of the technical problems associated with writing such an open-ended story. Speaking about writing themselves into corners, he said that, "Sometimes [the open ends are] hurdles that we've given ourselves, so we kind of smack ourselves in the head and say 'What the hell were we thinking? Why did we do that?'" "The classic example is 'Hey, let's make the ending of Mass Effect 2 a suicide mission where all your henchmen can possibly die, and Shepard can even die!' Oh right... and then we're gonna do another game after that. What the hell are we gonna do with all those guys?" he continued. I've been trying to think of what or who Walters could mean when he refers to a plot point from the first iteration of the Citadel reappearing in Act 3. Has that "panhandling" Hanar found his way? Is the Asari Consort going to explain her pet prophecy for Shepard? Suffice to say, I'm glad it's someone else's job to decide these things and circumvent the "hurdles" Walters mentioned. Mass Effect 3 will be released on 6 March 2012.